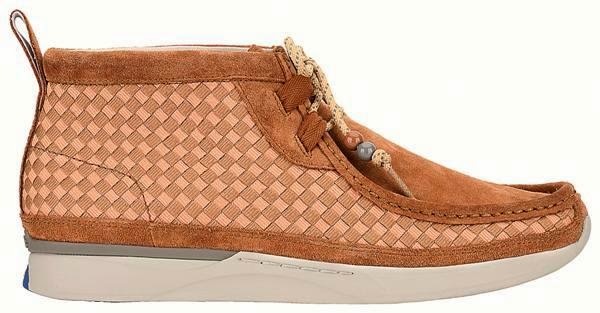 British footwear brand Clarks has collaborated with London sneaker store Footpatrol to create the Tawyer FP, a hybrid trainer that infuses the Clarks original Wallabees with fresh design undertones inspired by street style and sportswear. 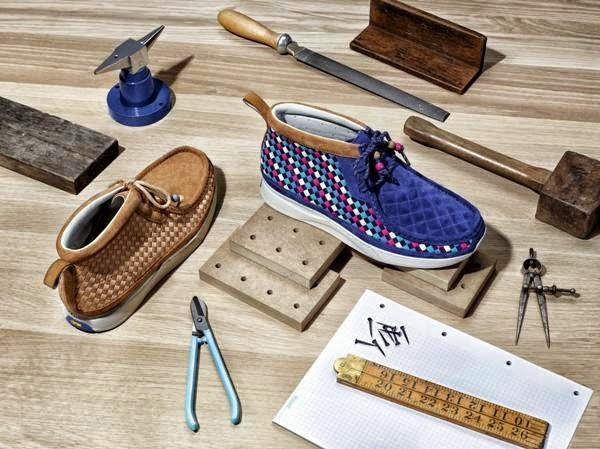 After researching on a number of techniques, Footpatrol’s designer Asheeba Charles opted for a traditional weaving design of suede complemented by reflective threaded laces and beads. 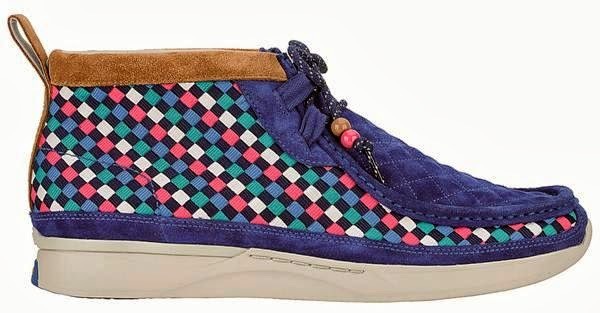 The Tawyer FP (which became available from 28 September 2013) comes in two models: a sand version available in sneakers store worldwide and a limited-edition multicoloured version (anchored by blue as the main shade) that is exclusive to Footpatrol. Following our previous post, The Style Examiner can now reveal the last two teaser images from the campaign for the newest Paul Smith men underwear collection for Autumn/Winter 2013. 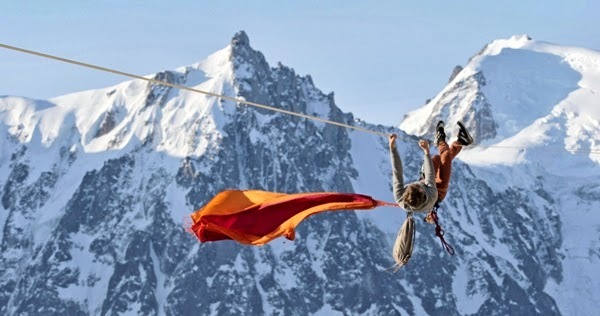 The stills are part of a film by Sébastien Montaz-Rosset, featuring slackliners Antoine Moineville and Tancrède Melet crossing the snowy peaks of the French Alps wearing Paul Smith designs. 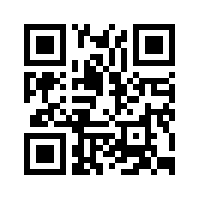 The full film is being unveiled worldwide at 10am GMT tomorrow, Tuesday 1 October 2013. 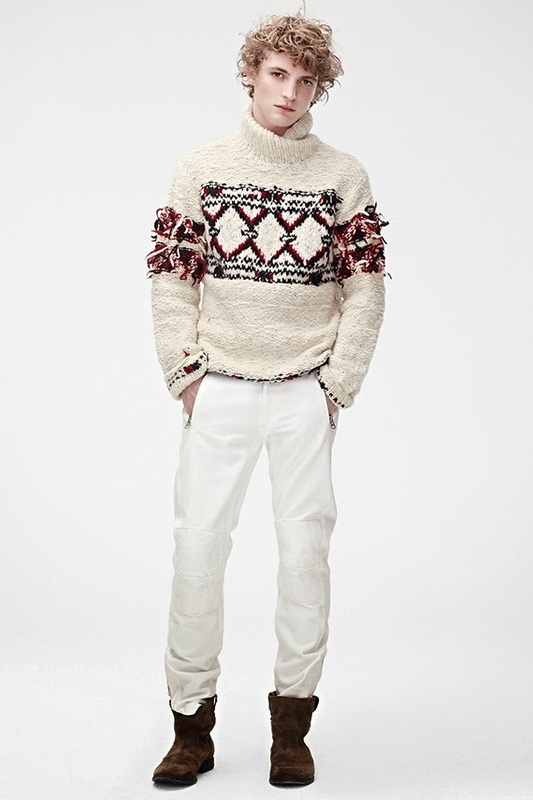 Menswear label Original Penguin has launched a new collection for Autumn/Winter 2013 that, in drawing inspiration from its own penguin logo, has created some very successful pieces. 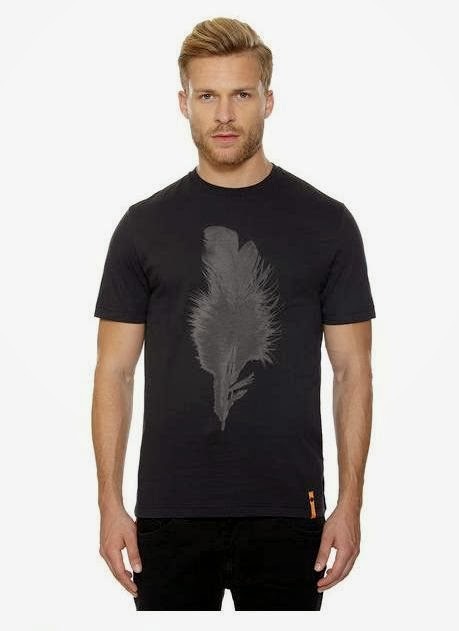 The Original Penguin Feather Collection features prints and colours inspired by a penguin’s beak and feathers comprising t-shirts, shirts, sweatshirts, trousers and jackets. 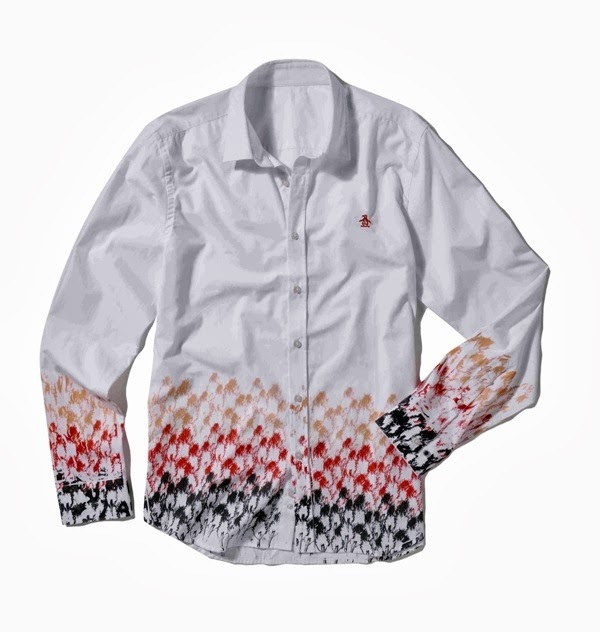 The capsule range comes in a vibrant colour palette of white, grey, ivory, black and orange applied to 14 pieces that combine the casual lines of sportswear with sophisticated and accomplished details such as asymmetric zip fastening, redesigned polo shirt collars with a pressed trompe l’oeil effect, patch pockets in contrasting colours and patterns, and creatively positioned feather prints in a seemingly haphazard pattern in. The collection is dropping in Original Penguin stores and online throughout the coming weeks. To unveil his men’s underwear collection for Autumn/Winter 2013, British fashion designer Paul Smith has worked with film producer and director Sébastien Montaz-Rosset to create a short film whose key stills have been released at the rate of one per day until the full movie is made public to the world at 10am GMT on Tuesday 1 October 2013. 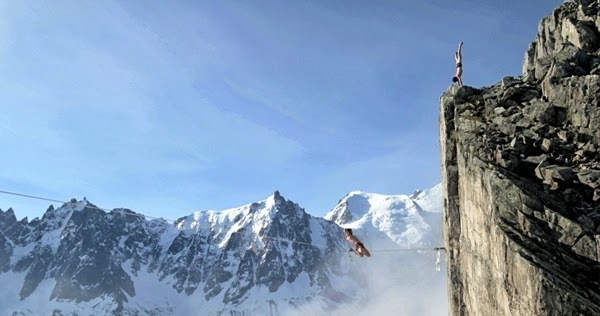 The film follows athletes Antoine Moineville and Tancrède Melet as they precariously slackline across the snowy peaks of the French Alps and do head-stands on cliff tops. 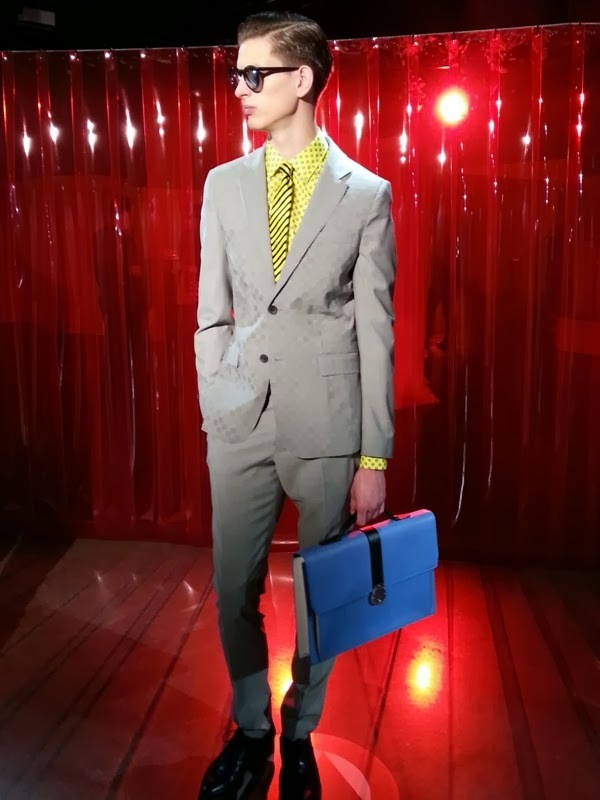 Throughout their journey, Moineville and Melet wear Paul Smith latest menswear designs, from sporting looks comprising trousers and tops to stripping down to reveal the new Paul Smith Underwear collection. 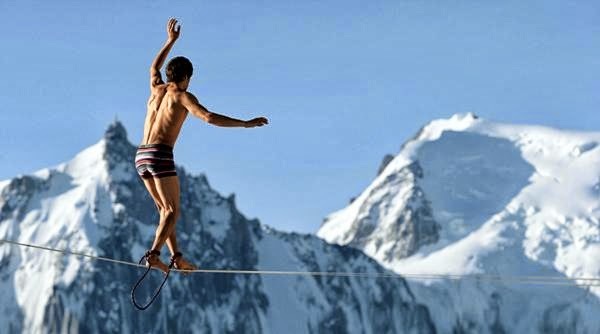 Paul Smith has partnered with The Style Examiner to reveal which clothes his slackliners have chosen to wear, so don’t miss tomorrow’s post to find out their state of disrobement! Founded as the result of a business vision shared between two close friends, Passavant and Lee is a new brand of accessories for men that has been garnering considerable interest from fashion buyers and journalists. 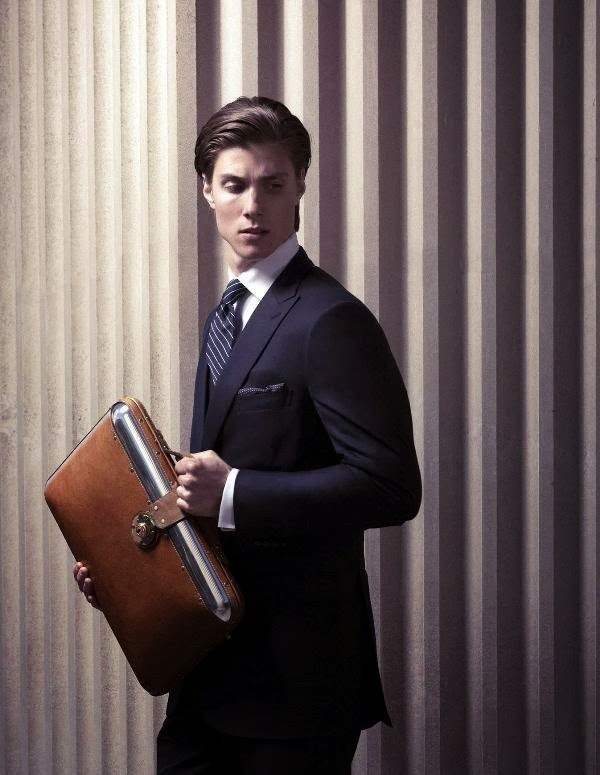 Although the brand is only being unveiled to the world in 2013, over the last three years friends Jon Passavant and Benj Lee have invested their time and expertise and worked closely with manufacturers in the US and UK to develop their first product, the ‘Passavant and Lee Nº 25 Aluminum and Leather Briefcase’. 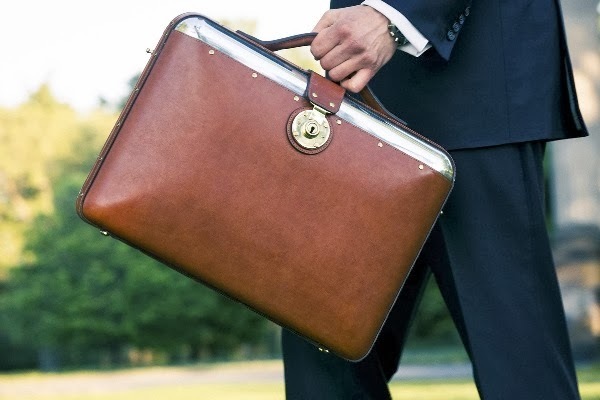 With its attractive industrial undertones conjured by combining aircraft-grade aluminium with supple, full grain leather, the briefcase has certainly caught the attention of The Style Examiner. To find out the plans that Passavant and Lee have for their new venture and their contribution to the realm of men’s accessories, we interviewed the founders and designers exclusively for our readers. The Style Examiner: To start, how did you two meet? 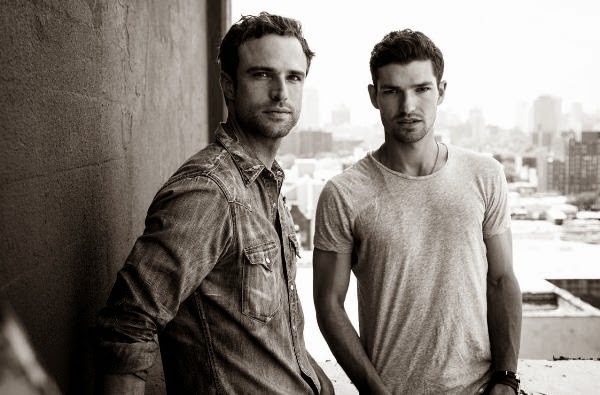 Jon Passavant: I met Benj through a mutual friend in 2008 when he first moved to New York for modelling. We had a lot in common since we had both been in the industry for a while, and pretty instantly became friends. We’ve shared a lot of great times together; I’ve travelled to his family home in Ireland, and walked through some difficult times in our lives as well. One of the biggest honours of my life is to be the godfather to Benj’s first son Thaddeus. TSE: In addition to modelling, you two have also undertaken some very hands-on work in property development and urban regeneration. What made you go down the road of male accessories? JP: It’s an amazing privilege to have worked with some of the most gifted and respected designers, photographers and creative directors in the industry. I learned so much from watching them create and bring their visions to life, and maybe I didn’t even realize it fully at the time but it gave me inspiration to start something. When I met Benj, he had such passion and creative desire; it was clear there was no one else I’d rather work with. For me, becoming friends with Benj provided the vehicle to explore what could be possible, and I feel like we pushed each other creatively to develop something we’re proud of. 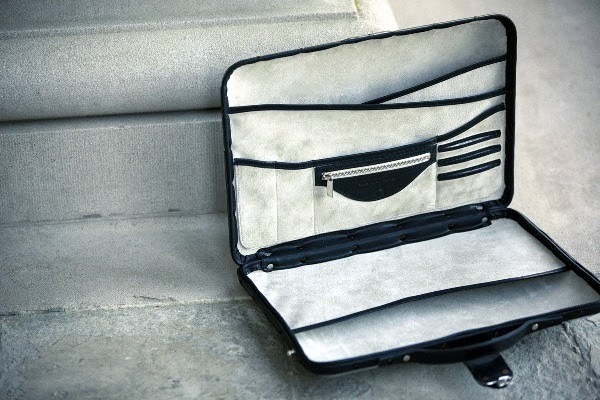 TSE: The ‘Passavant and Lee Nº 25 Aluminum and Leather Briefcase’ is a stunning piece of design. 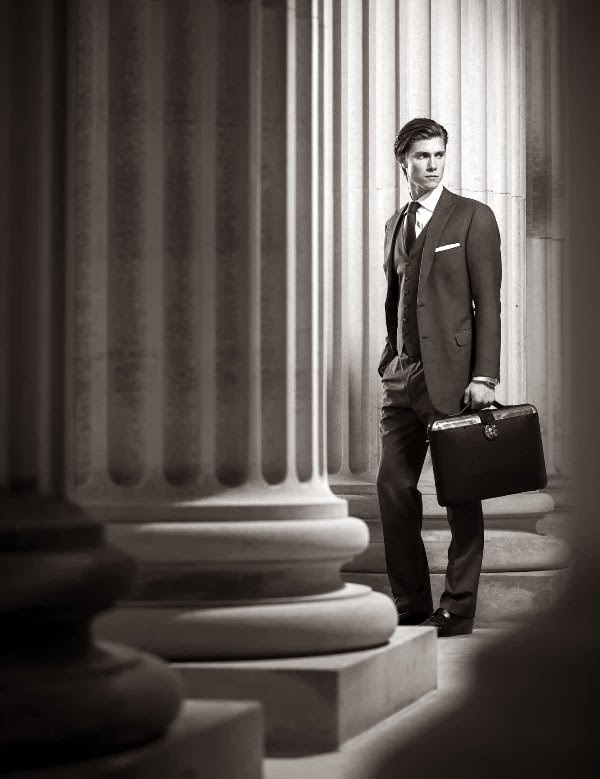 How did you agree on the lines of the briefcase? 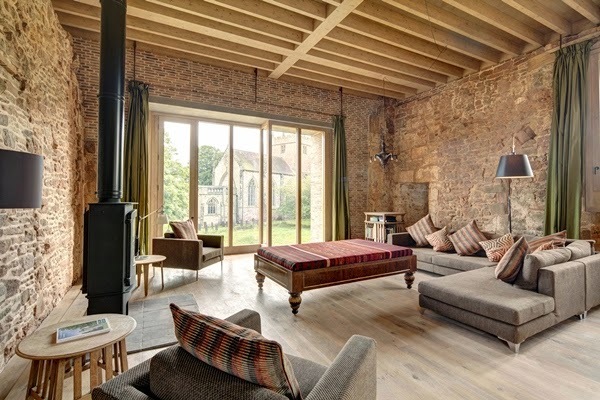 Did you work it out together and agreed on the design all the way through? Did you involve anyone else in the design process? JP: The final product is really a combination of our initial design idea while needing to work with the unique properties of the materials. We realized quickly that there’s a reason people have engineering degrees – it’s complicated. We worked with a faculty member at Yale for over a year to discover how we could manipulate the metal to do what we want. And it wasn’t easy – our first prototype was forged by hand out of steel. Slowly over the course of about 18 months, working with over 10 different aeronautical engineers from Connecticut to California, we developed a process that works, and we love the end result. Benj Lee: The design process has been a constant balancing act between functionality and visual beauty, a challenge which I love. Whilst we sought technical help to achieve what we needed with the aluminium, all the design work has been a collaboration between Jon and myself. Beyond that, working with the leather craftsmen to bring the designs to life in all their detail has been a long and rewarding journey, and we now enter production with great relationships as well as great processes in place. TSE: Why did you decide on the combination of materials that seem, on the surface, so different, such as aluminium and leather? 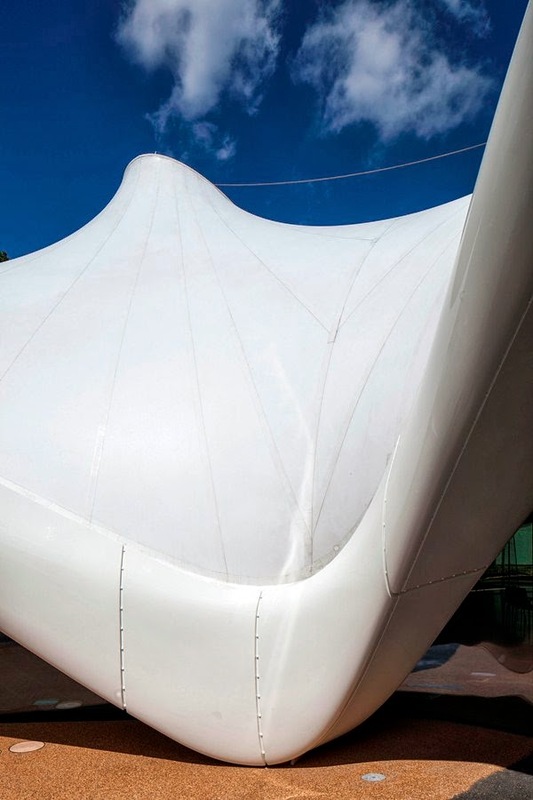 BL: Part of what drew us to these two materials was exactly their differences of look and feel which give an attractive contrast, but primarily it was their physical attributes: the aluminium is light and strong (once heat-treated) and the leather is workable yet hard wearing. There were a number of different options that may have fulfilled the function but we loved the timeless aesthetic of working with these two materials, and knowing that both the vegetable tanned leather and the aluminium will age beautifully. 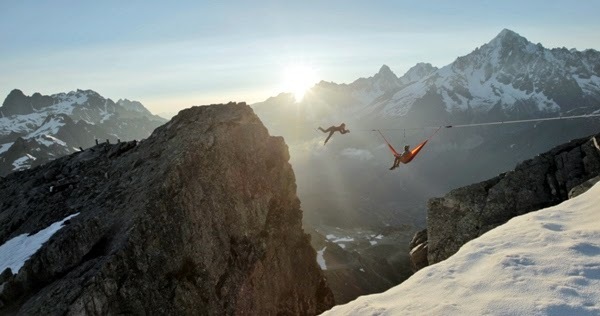 And there's nothing like it out there. 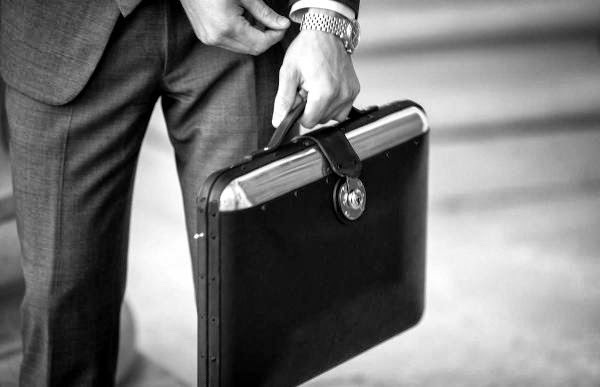 TSE: You once defined the briefcase as “combining beautiful raw materials and innovative design with a timeless style harking back to [your] classic British and American roots”. Jon, you were brought up in western Pennsylvania and Ben, you grew up in London. How do you see your nationalities influencing your work? 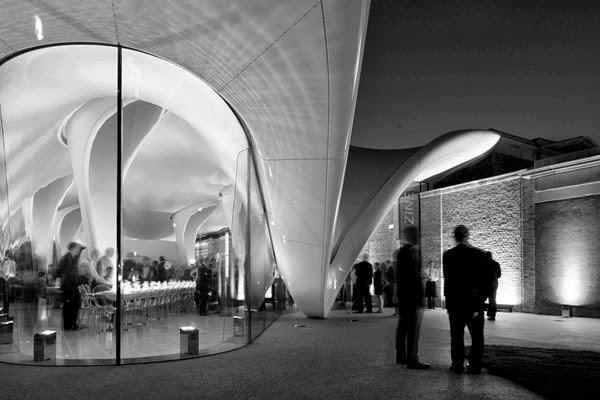 JP: The places we come from have a huge influence both on the aesthetics of our design as well as in how we make them. 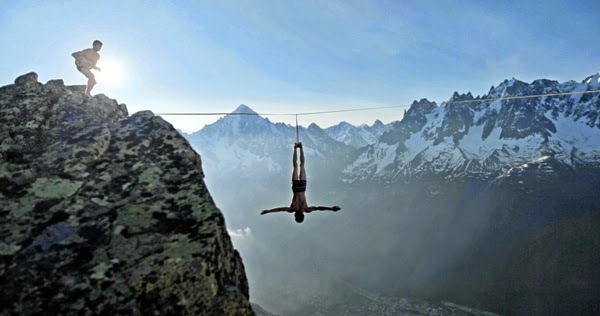 Using aircraft grade aluminium to me speaks of adventure and achieving what seems impossible. We’re proud to be able to make our products in America but certain pieces of the briefcase, such as the lock, are handmade in Britain – making it a true collaboration. Since all of this was born out of friendship, it seems important that both America and England are going to be central in how we design and manufacture. BL: My upbringing brought me into constant contact with classic British design, whether the architecture of central London, or the objects on my grandfather’s dressing table or gun cabinet. From a young age I developed a fascination with beautiful accessories, furniture and clothing of past generations springing from a heritage of craftsmanship and meant to outlast their owners. TSE: So far, what has the reaction been to the ‘Passavant and Lee Nº 25 Aluminum and Leather Briefcase’ from press and buyers? BL: The reaction has been really positive and so exciting for us to see. For something that has been a passion project for so long, to start getting recognition and interest is really encouraging. We are looking forward to these next few months as the bag releases and we meet with buyers. TSE: Your initial start-up focus is just one product. 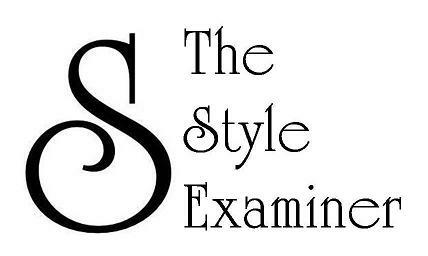 Could you share what your expansion plans are for the next few years with the readers of The Style Examiner? And, in the long run, what are your expectations for the future of Passavant and Lee? 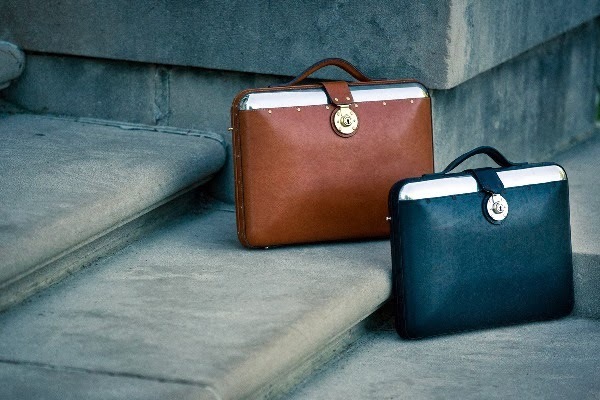 BL: We are already prototyping the products which will sit alongside this briefcase and build it out into a range including a slimmer attaché case, a portfolio and a travel wallet. Beyond that we are in the design phase of further accessories that will follow up this initial offering. In the longer term our dream and vision is to expand into apparel and become a full lifestyle brand. 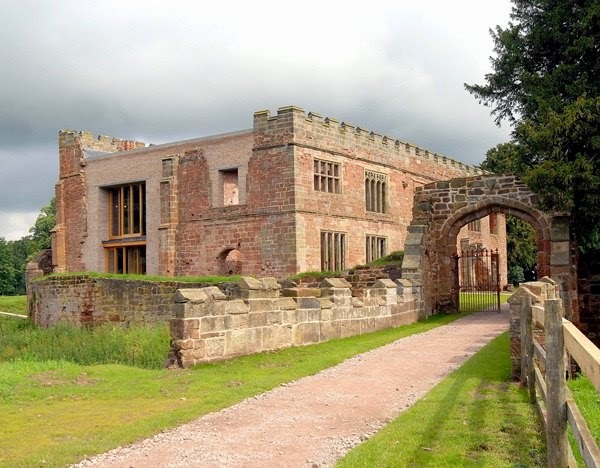 Astley Castle, a modern holiday home inserted into the crumbling walls of a 12th century moated castle in Warwickshire, England, has won the 2013 RIBA Stirling Prize for the best building of the year. 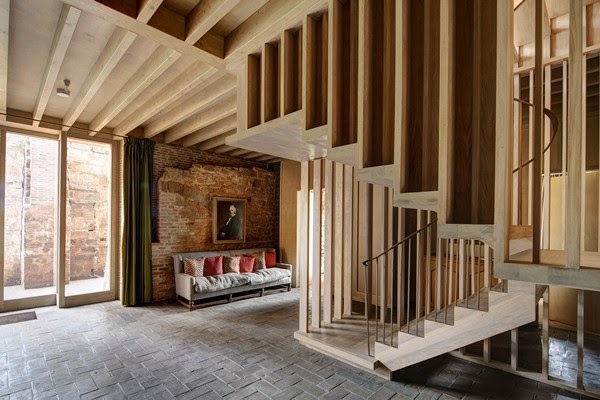 The architects responsible for the project, Witherford Watson Mann Architects, received their trophy at a ceremony held in London on 26 September 2013. 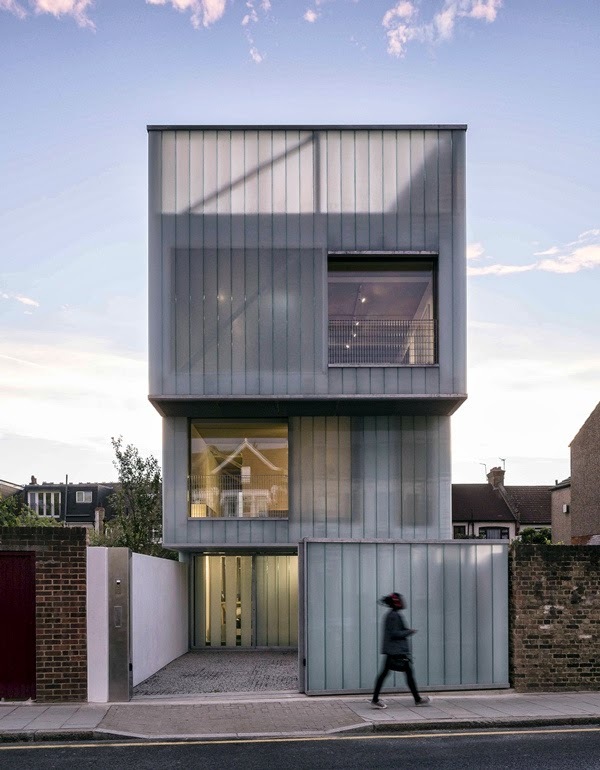 This year’s shortlist also included the Bishop King Edward Chapel, Cuddesdon, Oxfordshire (by Niall McLaughlin Architects), the Giant’s Causeway Visitor Centre, Northern Ireland (by heneghan peng architects), Newhall Be, Harlow (by Alison Brooks Architects), Park Hill Phase 1, Sheffield (by Hawkins\Brown with Studio Egret West) and the University of Limerick Medical School (by Grafton Architects). The contenders to the award, which the Royal Institute of British Architects (RIBA) has been running for 18 years, were judged by a panel comprising Sheila O’Donnell (architect, O’Donnell + Tuomey), Paul Williams (architect, Stanton Williams), Dame Vivien Duffield (philanthropist and Chair of the Clore Duffield Foundation), Tom Dyckhoff (journalist and broadcaster) and RIBA President Stephen Hodder. 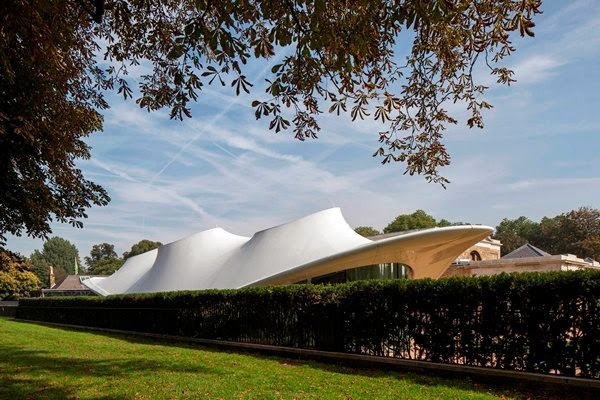 The winners of other RIBA awards were also announced at the event. Cool Conservatories, Gardens by the Bay, Singapore (by Wilkinson Eyre Architects) won the RIBA Lubetkin Prize for the most outstanding work of international architecture outside the European Union by a member of the RIBA, whereas Slip House in Brixton, South London (by Carl Turner Architects) won the RIBA Manser Medal for the best new private home. 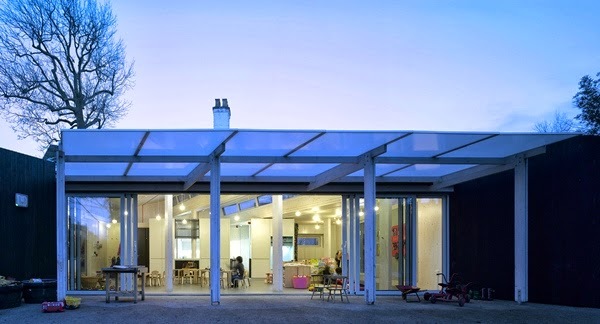 The RIBA’s 2013 Stephen Lawrence Prize (set up in memory of Stephen Lawrence – the teenager who intended to become an architect when he was murdered in 1993 – and funded by the Marco Goldschmied Foundation to reward the best project with a construction budget of less than £1 million) went to AY architects’ Montpelier Community Nursery. 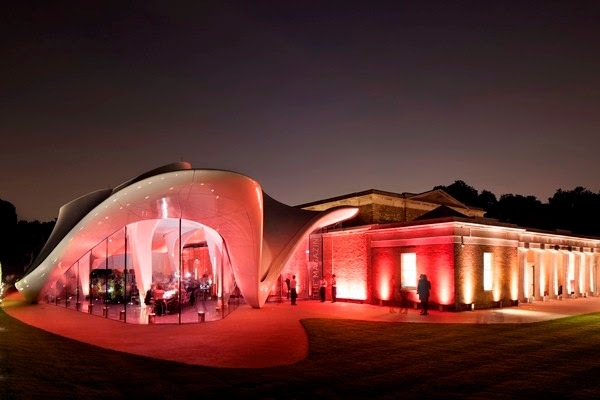 The National Trust won the 2013 RIBA Client of the Year in recognition of their role in the delivery of fine architecture. 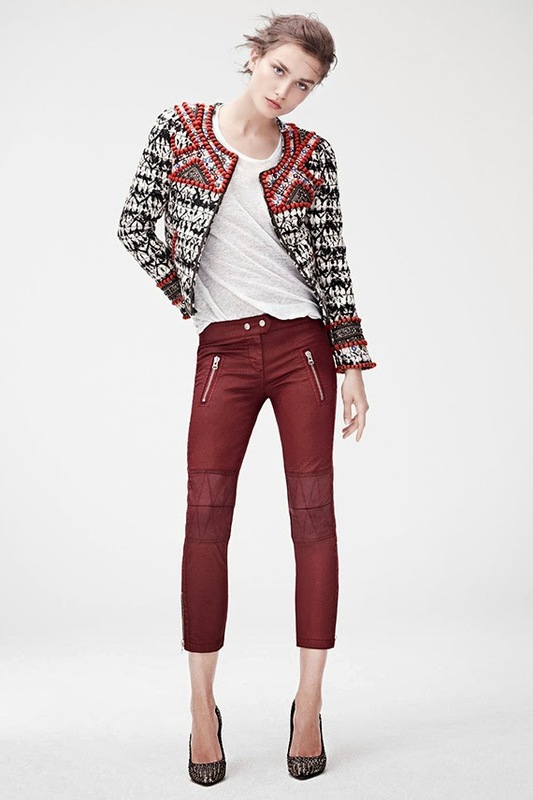 As the first images of the Isabel Marant for H&M collection started trickling onto the web, comments have ensued regarding the high quality of the designs that are scheduled to hit H&M stores worldwide on 14 November 2013. 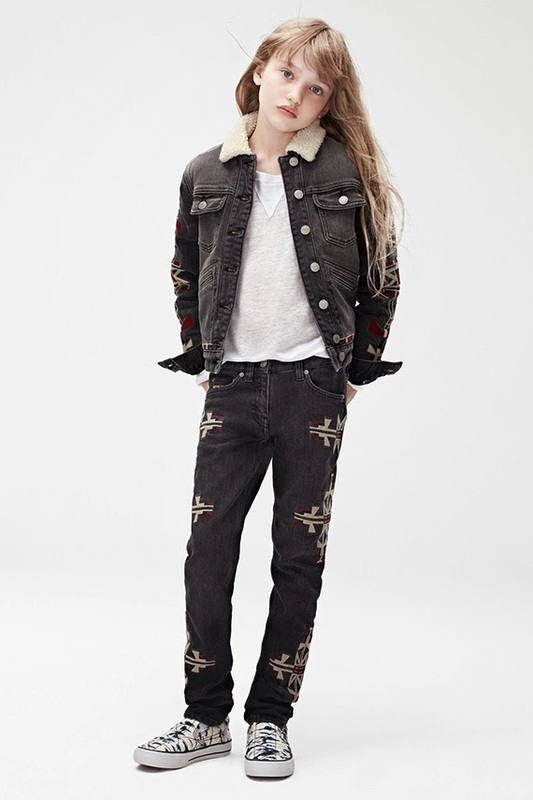 Some reviewers have even gone as far as suggesting that Marant’s collection for the Swedish clothing conglomerate may be more accomplished than the creations she has produced for her eponymous label. The promotional photographs for the Isabel Marant for H&M line feature Alek Wek, Lou Doillon, Milla Jovovich and Constance Jablonski wearing clothes, shoes and accessories that, despite addressing the demands of global taste, still reflect the Parisian bohemian aesthetic that has made Isabel Marant’s designs popular in the first place. The British Fashion Council (BFC) and GQ magazine have announced the creation of the BFC/GQ Designer Menswear Fund, a new initiative to champion the talent of British men’s fashion designers in a similar format to BFC/Vogue Designer Fashion Fund that has supported designers Erdem, Christopher Kane, Jonathan Saunders and Nicholas Kirkwood since it was launched in September 2009. Valued at £200,000, the fund will comprise a monetary prize and a mentoring programme (provided by Vertu) focussed on professional business development. 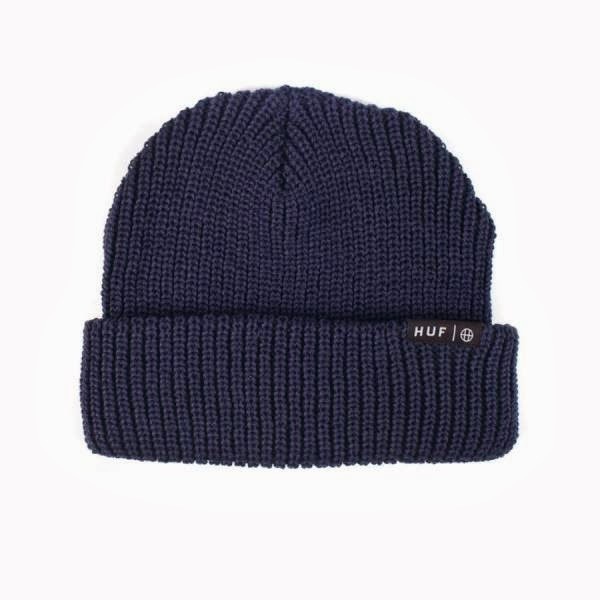 It is aimed at menswear businesses that have been trading for a minimum of three years, with UK and international stockists and who have graduated through the existing BFC talent support schemes or are at a similar stage in their business. A judging panel of industry experts will select a long list of applicants to attend an interview after which up to eight businesses will be shortlisted based on their contribution to the reputation of the British fashion industry, commercial achievements to date and a three-year business plan. Those shortlisted will take part in an eight-month mentoring programme that will entail close involvement with global fashion brands and media. At the end of this period, designers will be asked to present their reviewed three-year plan and their most recent collections to a panel of judges that will select one winner. 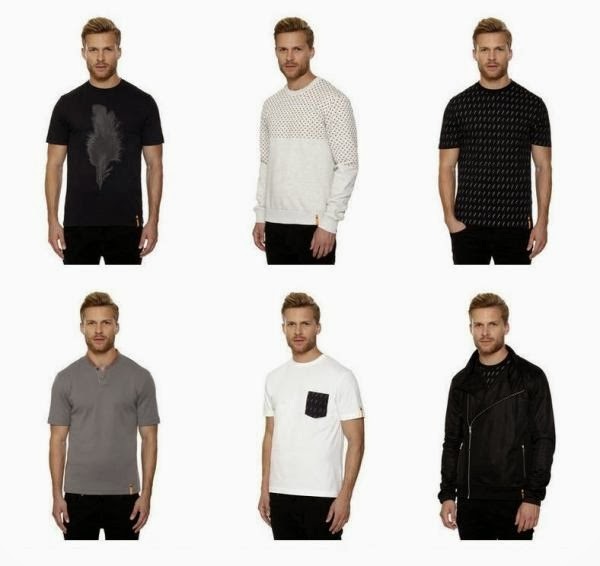 As summer came to an end, it became clear that streetwear labels such as Reason and SSUR did very well over the hot months of 2013, with their garments being spotted on the average man on the street as well as on celebrities. As autumn has settled in and winter approaches swiftly, the streetwear look (widely available via some of the most exciting independent retailers) is forecast to stay strong, with the cut-off jeans and light T-shirts of summer being replaced by heavy-duty jackets, branded sweats and plaid shirts. 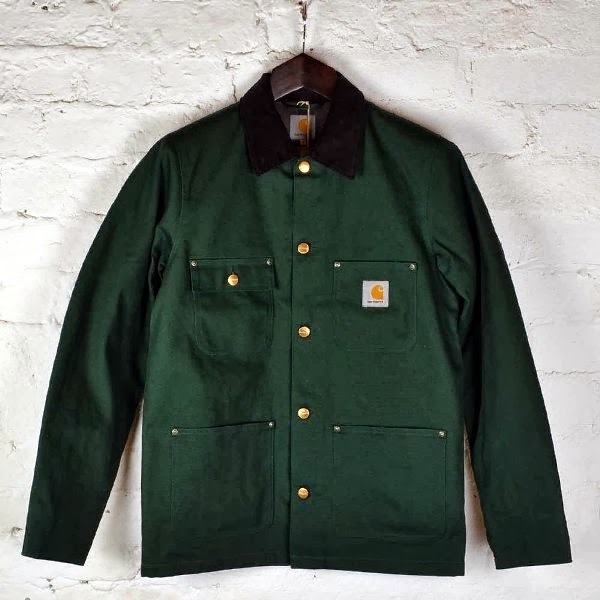 Examples of menswear brands that offer accomplished examples of streetwear include Carhartt, whose range of jackets for the winter months includes the casual and yet timelessly elegant bottle green Chore coat, which features attention-grabbing details such as adjustable cuffs and a corduroy collar that makes it the perfect outer-layer. Another welcome arrival is the new season Palace drop, one of the hottest brands in streetwear and skate culture. 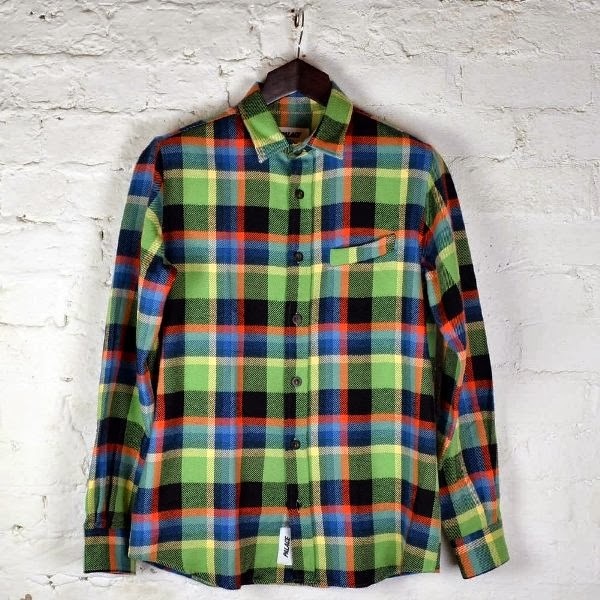 Palace’s latest range includes a heavyweight green plaid shirt that would look great with the Carhartt Chore coat and teamed with a pair of slim-fit Cheap Monday jeans and a woollen Huf beanie. In footwear, Vans offer some great streetwear options for the colder months, including the leather Old Skool Reissue shoes, a good choice to brave dipping temperatures and damp weather. And by simply adding a camo backpack, you have your streetwear style sorted for the colder months. 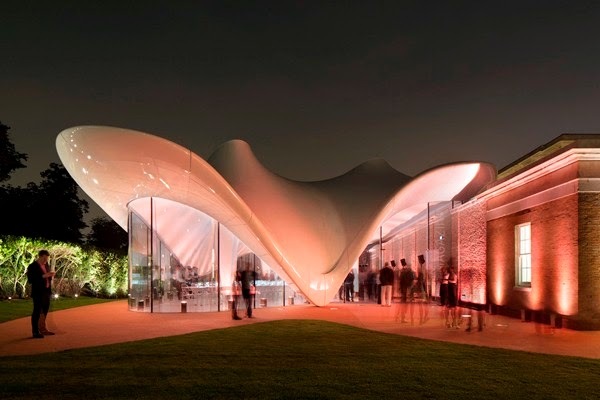 The Serpentine Sackler Gallery, designed by Zaha Hadid Architects, is opening to the public on Saturday 28 September 2013 after extensive building work that cost £14.5 million. 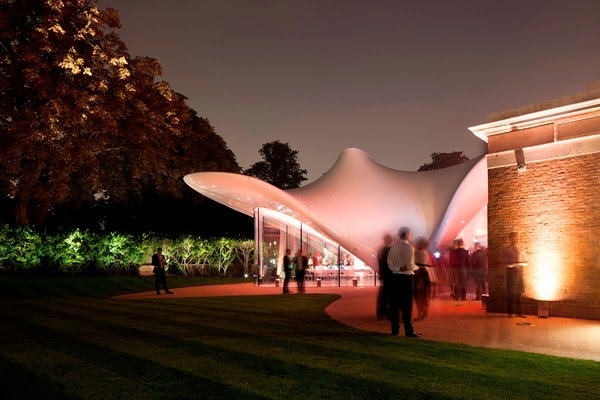 Located a few minutes’ walk from the Serpentine Gallery on the north side of the Serpentine Bridge in London’s Hyde Park, the venue will give new life to The Magazine, a former 1805 gunpowder store, by refurbishing the existing building and adding a light and transparent extension. 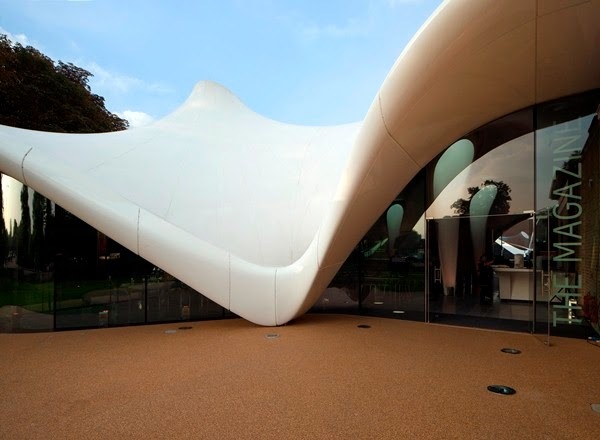 Featuring 900 square metres of new gallery, restaurant and social spaces, the Serpentine’s second space in Kensington Gardens is named after Dr Mortimer and Dame Theresa Sackler, whose Foundation has made the project possible through the largest single gift received by the Serpentine Gallery in its 43-year history. 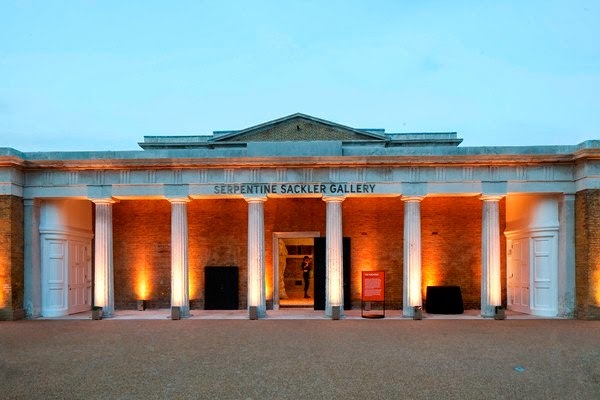 At a private event to mark the opening of the gallery on 24 September, Michael Bloomberg (who also donated towards the project via his Bloomberg Philanthropies) was announced as its new Chairman.